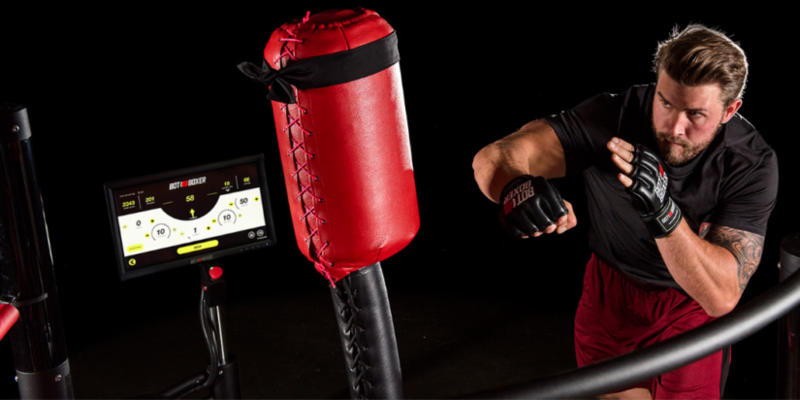 BotBoxer is a pioneer gadget designed as a personalized challenger opponent for boxers. It is just not a power training tool but the first customized gym machine invented to suit every kind of fighter. It also strengthens the upper body cardio with fierce workouts. Its unique blow by blow statistics allows us to visualize the result and give insights for setting fresh challenges. The Bot is designed with a high-speed computer vision and has motion recognition to track the boxer’s moves. It also carries sensors which read force and velocity of any approaching hooks and jabs with utmost accuracy. It reacts faster than a world champion. With BotBoxer, it is easier to discover the fighter’s weaknesses and strengths and helps to improvise the performance from being a beginner to becoming a Pro. It also personifies a human and experiences burnouts. With the right customization and setting of new challenges, the BotBoxer can train boxers to level up their performance and also be a great trainer to keep the fighter spirit always motivated.